“For the word of God is alive, and active, and sharper than any two–edged sword, piercing even to the division of soul and spirit, of joints and marrow, and able to judge the thoughts and intents of the heart. There is no creature that is not revealed in His sight, for all things are bare and exposed to the eyes of Him to whom we must give account” (MEV). "As they continued walking and talking, a chariot of fire and horses of fire separated the two of them, and Elijah went up by a whirlwind into heaven. Elisha was watching and crying, 'My father, my father, the chariot of Israel and its horsemen!' And he did not see him again. Then he grabbed his own clothes and tore them in two pieces. He picked up the robe of Elijah that fell from him, and he returned and stood on the bank of the Jordan. And he took the robe of Elijah that fell from him, and struck the water, and said, 'Where is the Lord, God of Elijah?' When he had struck the water, it parted from one side to the other, and Elisha crossed over. When the sons of the prophets who were at Jericho saw him from far off, they said, 'The spirit of Elijah rests on Elisha.' And they came to meet him and bowed down to the ground before him" (MEV). God gives us wisdom but we also acquire it through time and life experience. Embrace the season of life you are in now. Chasing what you once were or what you hope to be in the future is counter–productive. Understand that right now you are in the middle of God's perfect will for your life. Your peace is in Him! Your direction is in Him! Your comfort is in Him! World Harvest Church is an extension of the anointing that God has placed upon Pastor Parsley's life. And our worth is based on our own relationship with God. 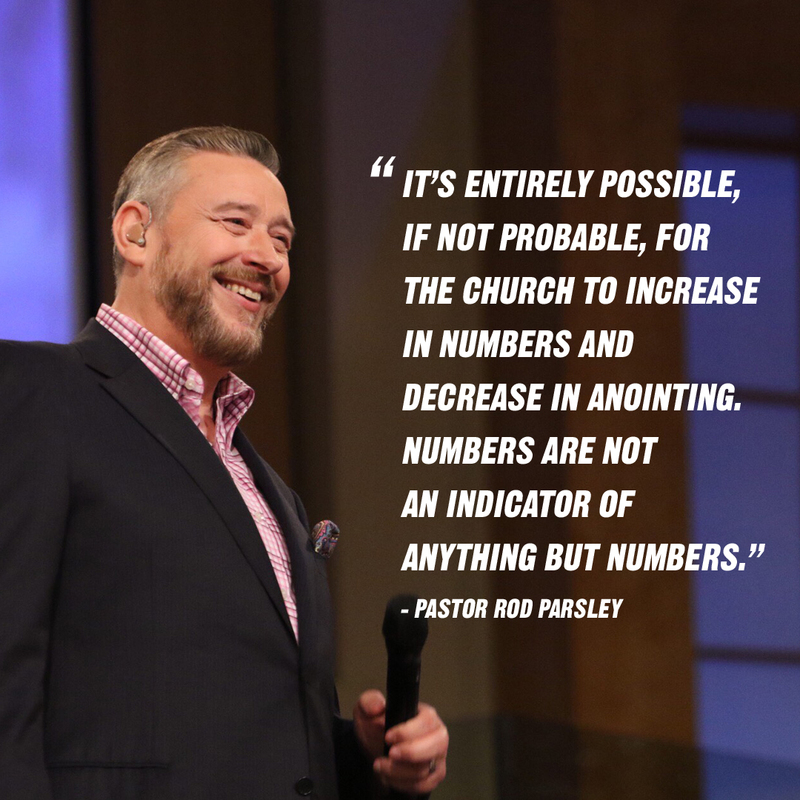 The message God gave Pastor Parsley in January – to win souls and plant churches – is not just for 2017. It is for the rest of his life! A major initiative in this effort will be launched on June 30, the Friday night of Dominion Camp Meeting. New churches are critical spreading the Gospel, because more than 80 percent of people getting saved this year will be part of a church that is two years old or less. 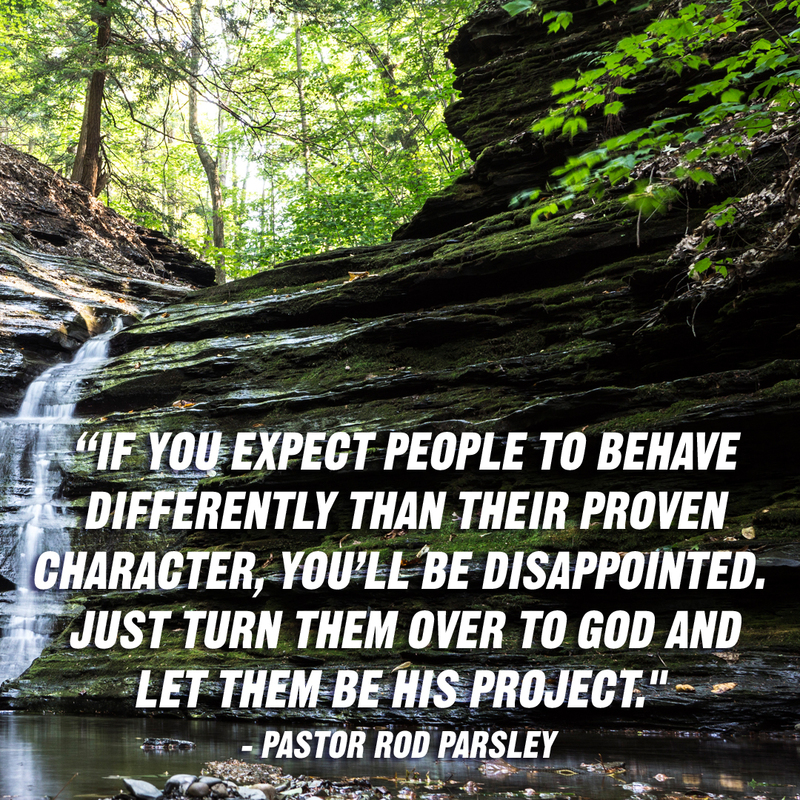 Thank You for being a part of this great fellowship, and for the opportunity to be an extension of the anointing that rests upon Pastor Rod Parsley. I enthusiastically receive the call that is upon the lives of every member of this church to win souls and plant churches for the advancement of Your Kingdom! Thank You for the privilege of being in the center of Your will. Go before us and prepare the atmosphere for Dominion Camp Meeting. Create an environment that convicts and motivates all who enter, that they may be consumed with the spread of Your great Gospel and the claiming of new territory and new souls for Your Kingdom. Order my steps so that my giftings and anointings will become an integral part of the fulfillment of the vision You have given our Pastor.